Midway through his third season as manager of the Mariners, Servais has compiled a 222-199 (.527) record. Seattle rewarded him, like GM Jerry Dipoto weeks earlier, with a multi-year contract extension. On the day he received his contract extension — just a few weeks ago — general manager Jerry Dipoto said he couldn’t imagine doing his job without Scott Servais as the Mariners manager. Now he won’t have to consider that possibility. On Friday, Dipoto announced he had given Servais a multiyear contract extension to remain the team’s field manager. Per club policy, terms of the contract were not disclosed. Dressed in his uniform, Servais was eager to get back on the field and start preparing for the second half of the season, starting Friday evening against the White Sox. It’s been mostly ups in his third season as Mariners manager. Before Friday’s game against the White Sox, the Mariners held a 58-39 record, the fourth-best record in the major leagues, and a three-game lead over the A’s for the second wild card. They are on pace for a 97-win season and a postseason berth. Servais, 51, is the first manager to receive a contract extension since Lou Piniella received contract extensions in 1996 and 2000. After Piniella departed for the Rays, the Mariners cycled through six full-time managers — Bob Melvin, Mike Hargrove, John McLaren, Don Wakamatsu, Eric Wedge and Lloyd McClendon and three interim managers — McLaren, Jim Riggleman and Daren Brown — while the organization struggled to win consistently. In the midst of his third season at the helm, Servais has already become the fourth-winningest manager in Mariners history at 223-199 (.528). This success wasn’t necessarily guaranteed or even expected. 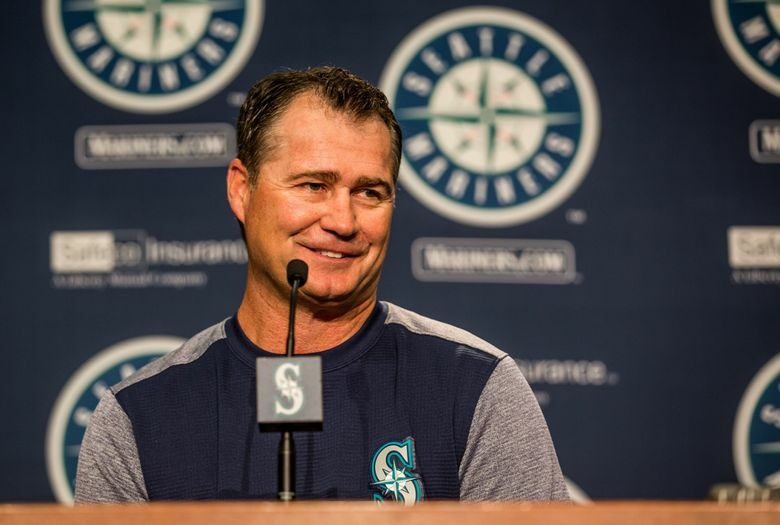 Servais had never been a manager on any level in professional baseball when Dipoto chose him to be the Mariners’ 20th full-time manager over Dave Roberts and Tim Bogar, who also interviewed for the job. Dipoto took a fair amount of criticism from some national media about the decision. Does it provide some level of vindication? Initially, Servais was bothered by the criticism but moved past it quickly with the rigors and demands of the job becoming the focus. Servais has a willingness to adapt, embrace analytics and understand the modern player, which Dipoto finds vital. Servais has read his fair share of coaching books and leaned on the advice of former Red Sox manager John Farrell and current Astros manager A.J. Hinch — both of whom moved from the front office to the field — to shape his philosophy. But it’s pretty simple. Since 2016, Servais has the fifth-most wins of any manager; only Joe Maddon (251), Hinch (249), Terry Francona (248) and Dave Roberts (248) have more wins over that span. The Mariners won 86 games in his first year as manager (2016), prior to an injury-plagued 2017 that saw the team limited to 78 wins.